Rakhis are flooding the market but some sisters like to try their hand at making rakhis themselves.. Long ago we made rakhis with resham or silk threads and decorated them with beads.But now it is getting difficult to buy craft items as small shops stocking such inexpensive things keep disappearing making way for glittery Malls and shopping complexes. However one can get these silver ribbon flowers or make them with silver/gold 'gota' ribbons available in shops keeping stitching materials. 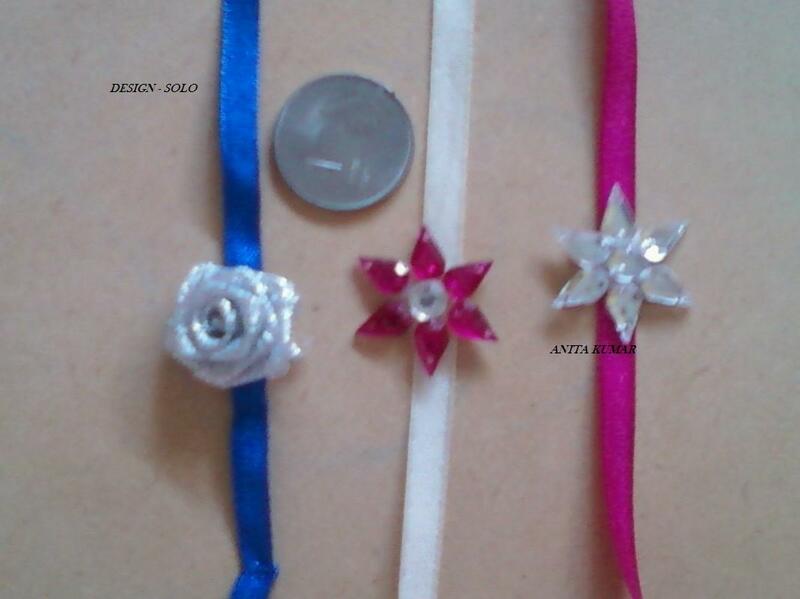 Be creative and use silk ribbons as rakhi threads and make neat rakhis this year! 3 Use a long piece of silk/satin ribbon if you cannot get the proper rakhi thread and stick the prepared decorative piece. Pretty cute. Thanks for sharing.